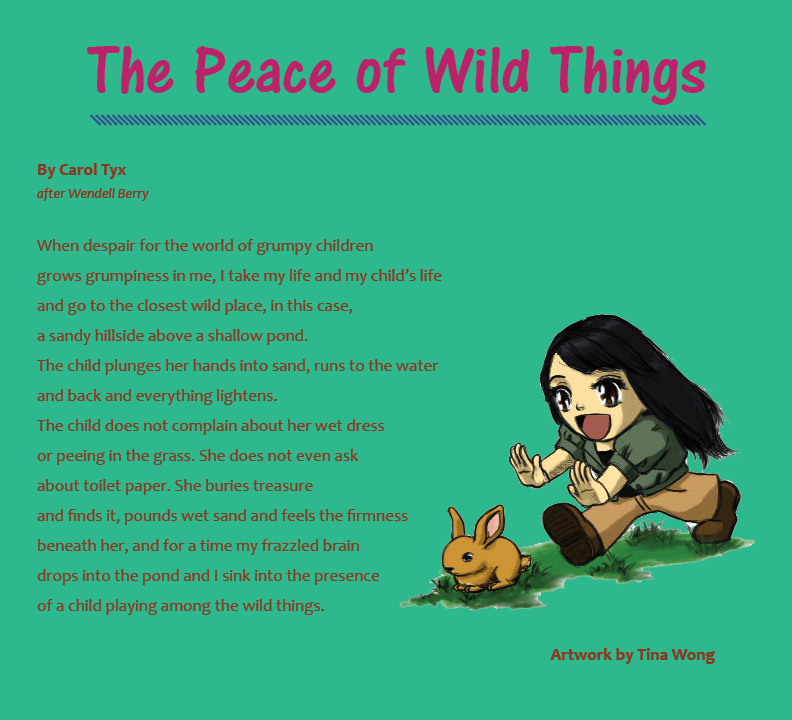 Carol Tyx is the author of Rising to the Rim by Brick Road Poetry Press. Her poems have appeared most recently in Concho River Review, Hunger Mountain, and Minerva Rising. When she isn't teaching at Mt. Mercy University in Iowa, you might find her discussing books in prison, singing with the HeartSong community, or pulling weeds at a local CSA. Tina Wong is a digital and 3D art enthusiast. She graduated from the University of California, Davis, majoring in Exercise Biology, Minoring in Nutrition and Art Studio. She also graduated with a certificate in 3D Animation in Game Design at the Art Institute of Pittsburgh. She wants to make games for educational purposes. Her main genre of interest is in Sci-Fi and Fantasy art. See more of her artwork at her website, tmeiwong.com, and at her DeviantArt page, emberrabbit.deviantart.com.